I need some help, trying up upload a sim with no CC on it. I am trying to upload one of my sims to the gallery. I don't use CC clothing, but there are some other things that are, like skin tone, and something else that I won't mention. Anyways I completely removed my mods folder, but it is still showing that my sim is modded. Is there something else that I need to look at to get that little wrench to go away? Try deleting the cache files also, and see if that helps. I tried that, didn't work. I even stripped my sim of everything, clothes, hair, makeup, everything.....It still shows her as modded. Try doing this workaround and see if that helps. Save your sim to your library. Then exit the game. Load the game again. Then start a new game. 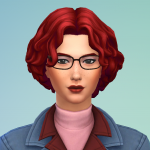 Load your sim from your library into cas, then try to reupload her then, and see if that help. Keep your mods folder out of the game when doing this. Didn't work, stupid wrench just won't go away. Does she have any custom sliders used on her? 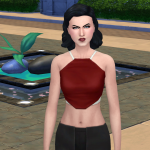 Try making a twin of your sim in cas, then see if the twin can be uploaded without the game classing her as modded. Are you using any default replacements such as skintones or eyes? If so, remove them and try again. For whatever (silly) reason, default replacements make the sims show up as modded even though they aren't. edit: You may need to resave the sim before sharing but I can't recall if that was an issue for me or not.